Owned and operated by natives of New Orleans, brothers Kyle and Mike Loftin have crafted unique ceramic oyster shells and tools. 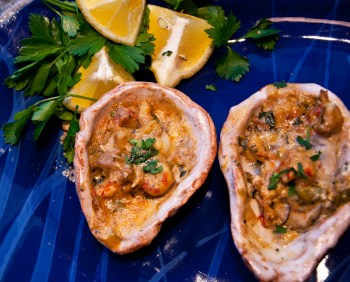 The ceramic oyster shells are ideal for char-grilling oysters and other seafood. Built to withstand high heat and direct flame these ceramic shells are safe and easy to cook with. Check out our selection of ceramic oyster shells today.